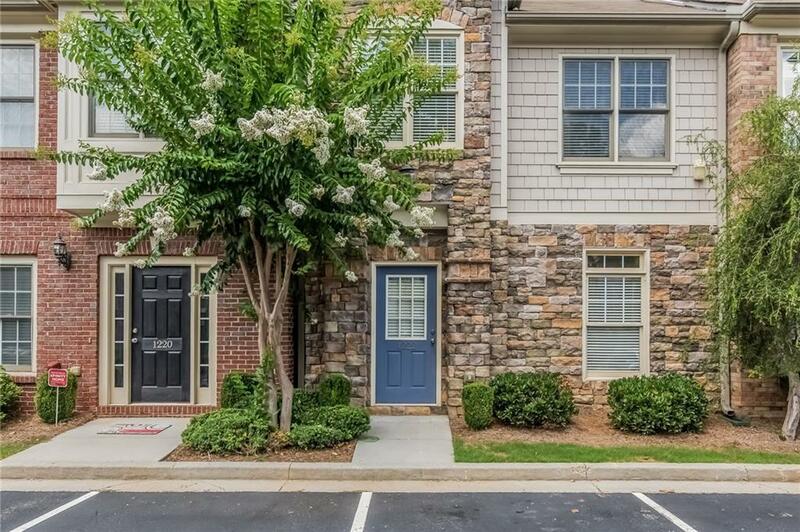 Meticulous Maintained Townhome in Popular Harris Commons. Largest & best Open Floor Plan in Community. Kitchen w/ View to Family Room features Stained Cabinets, Granite Counters, Tumbled Marble Backsplash, Eat-in Counter & Stainless Appliances. Large Master Bedroom and Bath. Spacious Secondary Bedrooms with Bath. Crown Molding Throughout. Storage in Attic, Under Stairs & on Patio. Largest Floor Plan in Community. Patio w/Private Wooded View. Minutes to Wills Park, Avalon & Downtown Alpharetta. Two Deeded Parking Spaces In Front of Unit and Visitor Parking. Directions: 400 North, Exit 7b Holcomb Bridge, Go West And Turn Right On Alpharetta Hghwy, Left On Upper Hembree, Right On Harris Road, Right Into Harris Commons, House On Left.